When it comes to adding value to your home, put your money where your mouths are. The 2 rooms that add or detract value most from a home are the kitchen and the bathroom. Right now stainless steel appliances are the trend but there is no sense investing in them only to put them next to shabby cabinets in an outdated kitchen. When renovating a kitchen, start with the cabinets first. An older refrigerator or stove will look better surrounded by new cabinets. Look for products certified by the Kitchen Cabinet Manufacturers Association, which are subjected to tests that replicate years of normal kitchen abuse. Certified cabinets survive exposure to humidity, temperatures ranging from –5 to 120 degrees Fahrenheit, and dousings of kitchen mainstays like vinegar, lemon, fruit juices, ketchup, and coffee without showing signs of blistering, discoloration, or other damage. Stock and semi-custom cabinets are the most popular types on the market. Stock reigns supreme because of its low price, quick delivery, and increasing accessory options like furniture feet and full-extension glides. Semi-custom models offer a wider range of sizes, finishes, and styles. 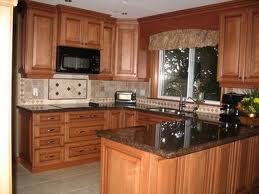 Custom cabinets are the most expensive; they can take up to 12 weeks to fabricate. The extras cost extra. Today’s cabinets include user-friendly options such as full extension roll-out shelves, large drawers in base cabinets can hold pots, pans, and dry goods; they’re as popular as pull-out recycling bins and built-in open-storage systems like wine racks and china displays. These are all wonderful accessories but not necessities so really consider which ones, if any, you can’t live without while keeping a close eye on your budget. If the house you are updating is only going to be yours for a couple of years, go basic. If you plan on raising a family here and staying until retirement then make it yours. Take home the samples. You may have looked on-line at the color combinations that you like and the color of wood that you like but it’s just like paint; the way it looks in the store or on-line may be nothing as to how it looks in your home, with your lighting and your flooring. Light-colored woods, oak and maple make your kitchen seem brighter and larger. Darker woods like cherry and mahogany create a more dramatic, furniture like effect but can be overwhelming in a small kitchen. It’s the little things. If this is your “forever home” think about the little touches like knobs and pulls. Some people can overlook their significance when it comes to style but they really add personality. 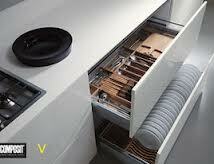 Here at Plumbtile we work with over 20 manufacturers of hardware for your cabinets. No need to go with the basic brushed nickel knob when you can have celtic, crystal or even novelty designs. Pick up a repair kit. This should include items like colored wax, putty, or markers to cover set nails or repair dings. When the baseboard and corners are put on you will definitely need to go back and fill in the nail holes unless you have the contractor do it. Be an Eco-Friendly Renovator. Programs like Habitat for Humanity’s ReStores accept donations of cabinets for resale; most groups will even pick them up. Carefully remove the cabinets or tell your contractor you plan to donate them.